Pawel Achtel takes to the air in Antarctica on assignment for Channel Seven Australia. He spent two months pursuing Japanese whaling ships. 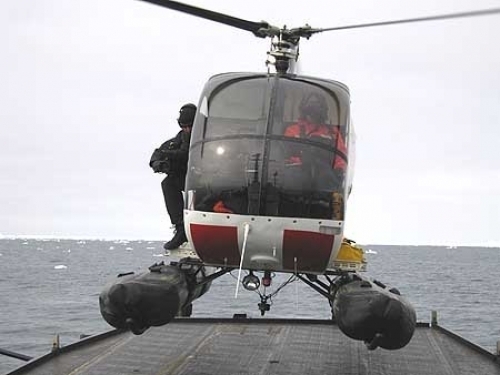 23.06.2006 Pawel Achtel takes to the air in Antarctica on assignment for Channel Seven Australia. He spent two months pursuing Japanese whaling ships.